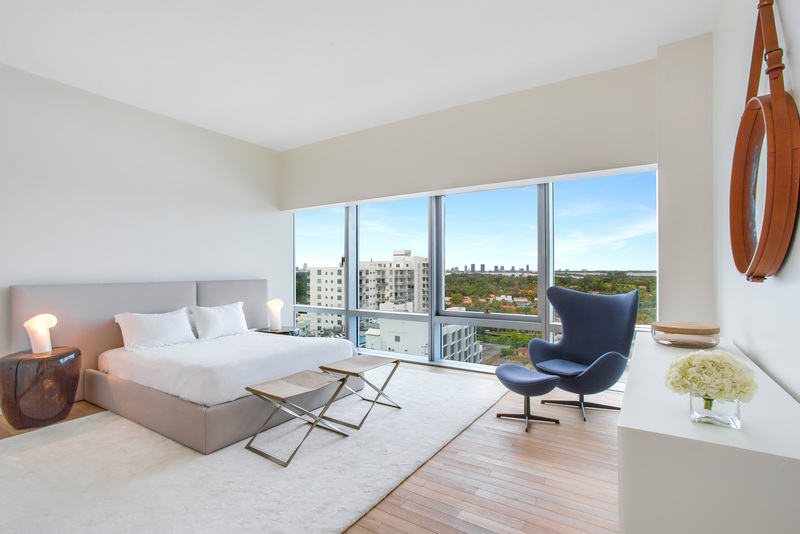 Designed by world renown architect John Pawson, each of the 26 one-of-a-kind apartments are light-filled with generous living areas and floor-to-ceiling windows. Every detail of the seamlessly flowing spaces is designed to invite effortless continuity between indoor and outdoor living. 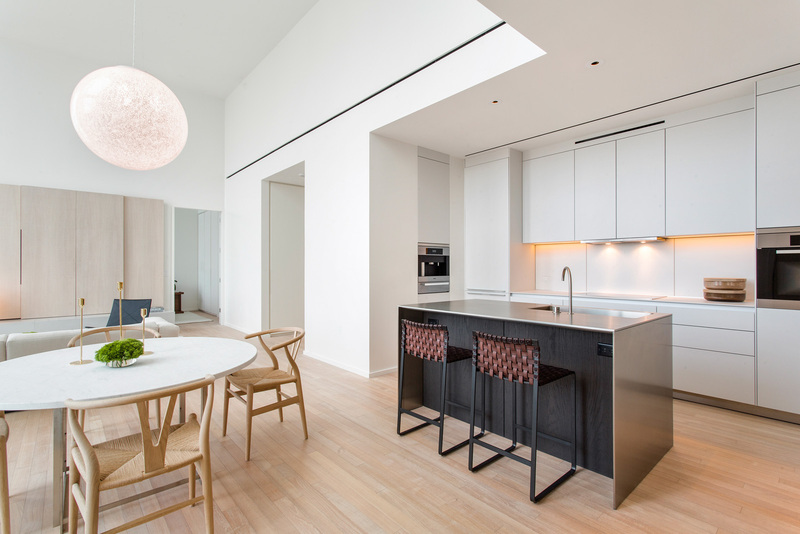 Pawson uses an unparalleled level of finishes and details to create interiors of maximum comfort, functionality and aesthetic pleasure. 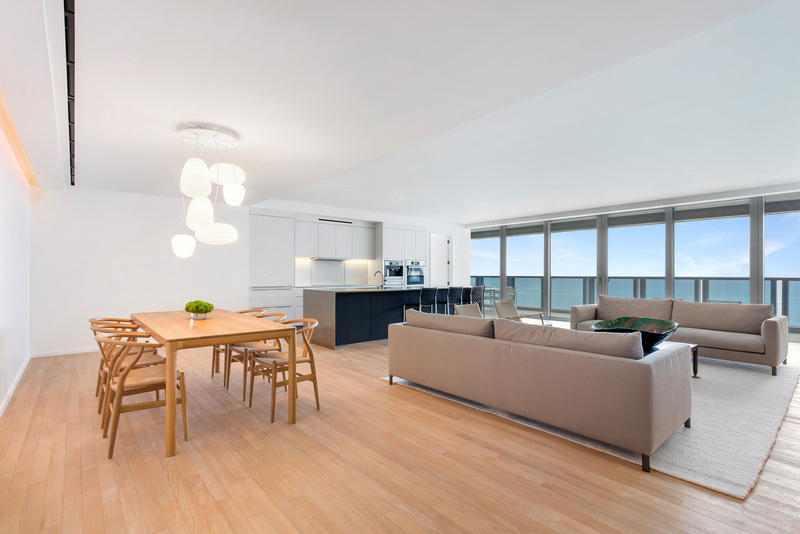 Generous living areas are light filled with floor-to-ceiling windows and bleached teak woodflooring throughout, including the balconies and terraces. 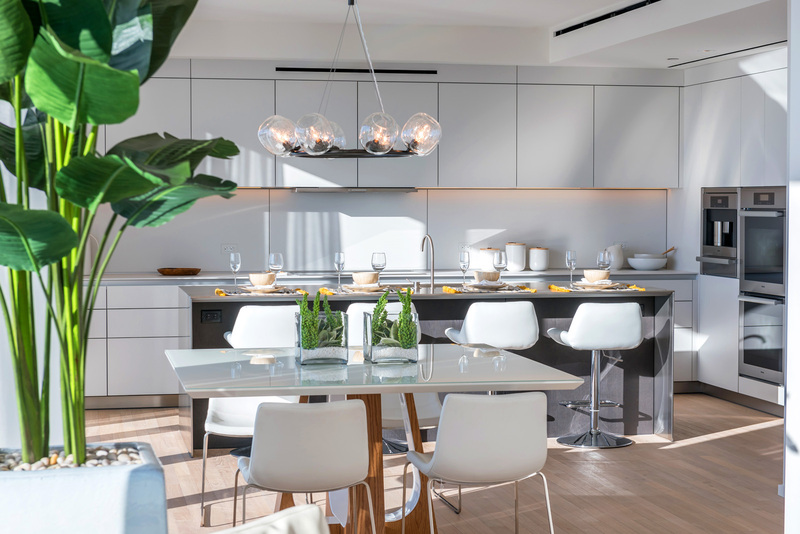 Each residence has Pawson’s magic touch with custom designed, open Bulthaup kitchens with islands as well as master bathrooms with Italian white onyx translucent screens and custom-cast integral concrete bathtubs and sinks. 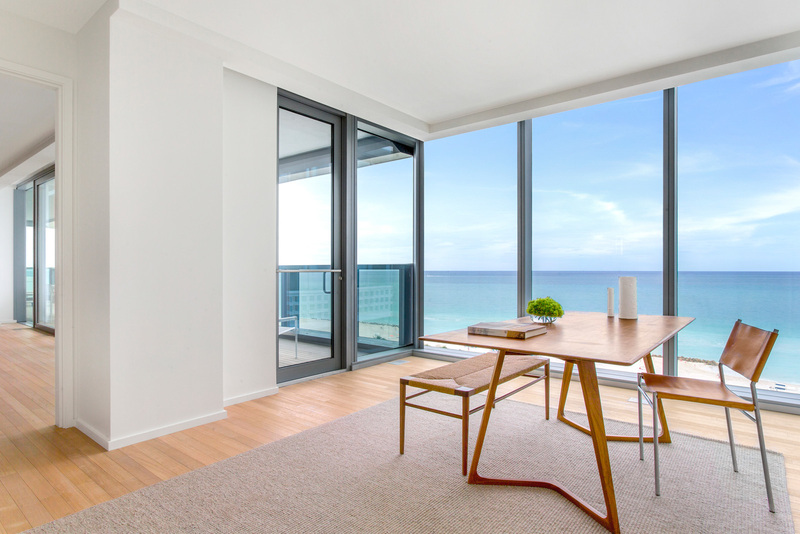 The serene simplicity of Pawson’s design offers a perfect canvas upon which owners can create individual worlds, reflecting their own tastes, sensibilities and lifestyle. Indeed, there is a residence suitable for every lifestyle. 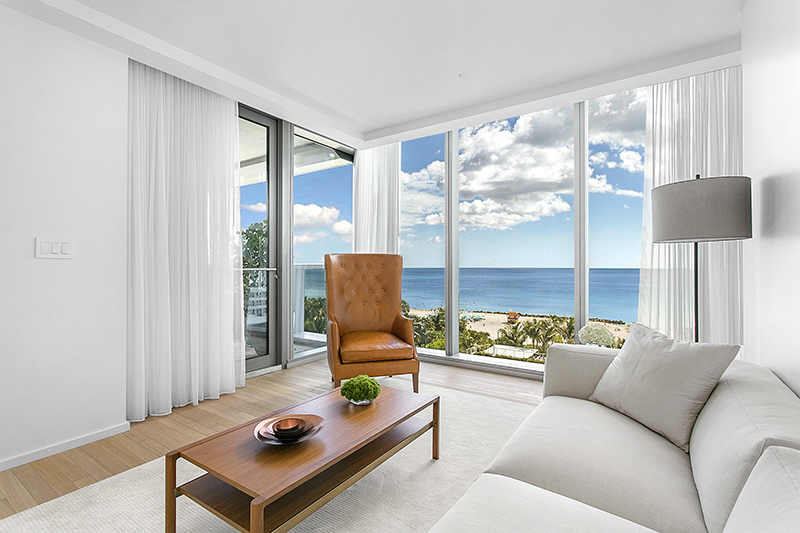 Taking into consideration that people come to Miami to be outside, the outdoor spaces at The Residences are finally done correctly and are not merely an afterthought. Expansive “Outdoor Rooms” invite effortless continuity between indoor and outdoor living. Gardens literally in the sky are akin to those found in private residential homes. These extraordinary outdoor spaces feature private lap pools and plunge pools, outdoor kitchens, dining areas, fireplaces and pergolas designed by John Pawson. 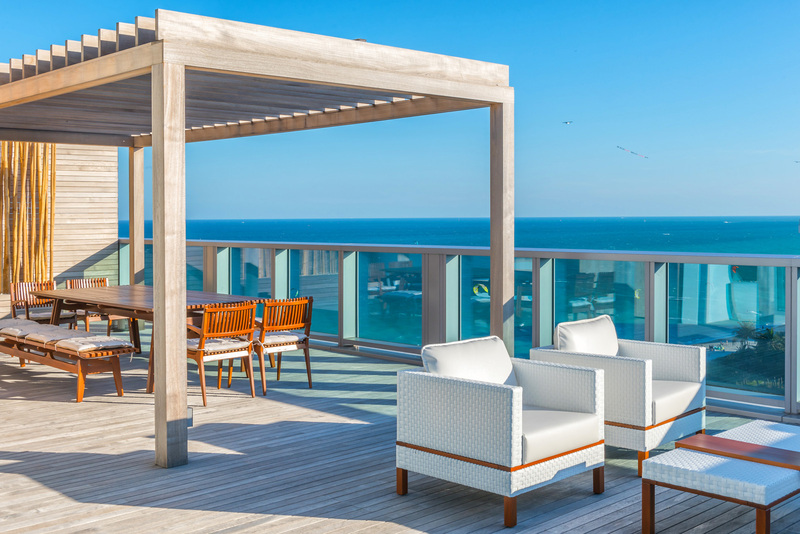 There is enough space for a private outdoor gym or to enjoy yoga, along with soaring panoramic views of both the ocean and the bay—a true rarity and a unique feature that showcases the bay and ocean during the day and the magic of Miami at night. 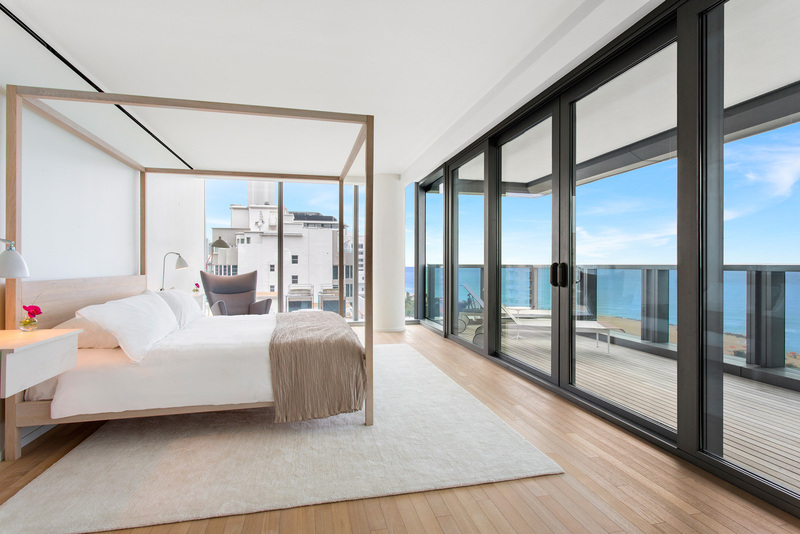 Additionally, many of the homes in the new building feature expansive views of both the city and the bay while those on the top floors of the hotel have vast ocean views that make you feel as if you are standing on the deck of a ship. 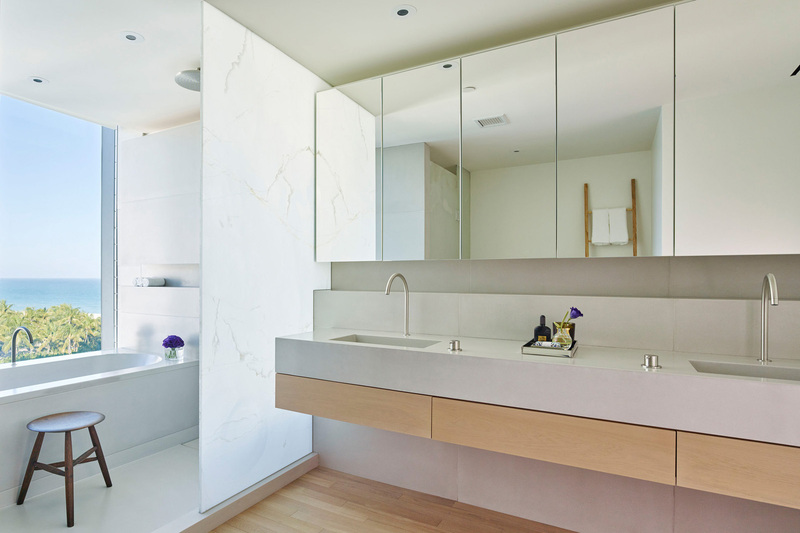 Each and every residence is sleek, sophisticated, and tailored to individual needs. A spare color palette and selective use of materials create a superbly coherent design that encourages a focus on experiencing the space rather than distracting the eye. 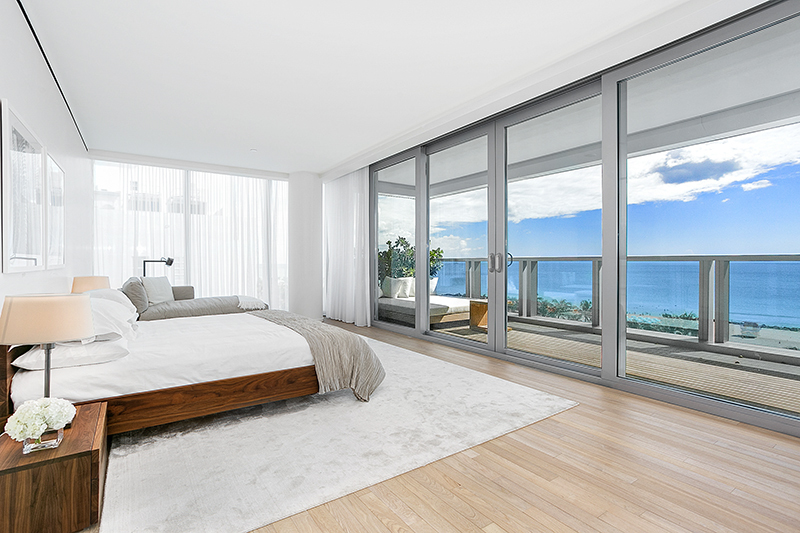 Like blank canvases awaiting completion, the residences, which have extensive wall andfloor space for the installation of personal art collections, may be furnished and decorated according to individual tastes or completed to guidelines suggested by the architect. 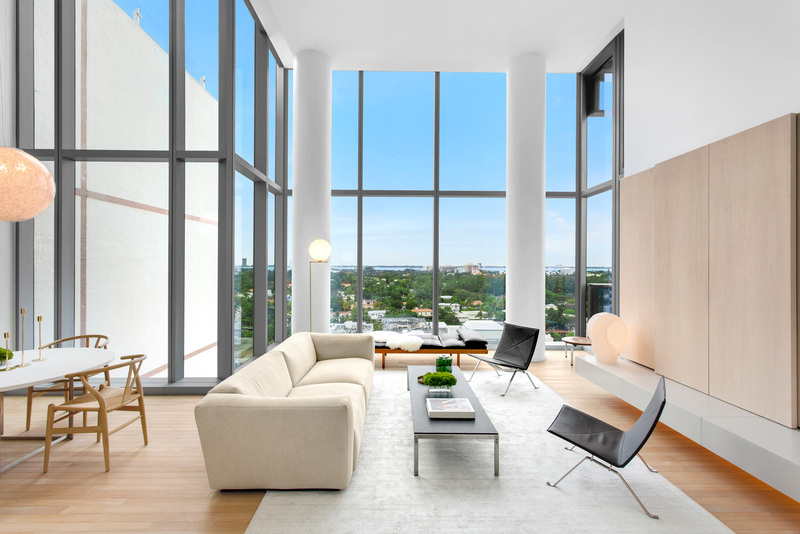 For a seamless transition into a comfortable home, Schrager offers a once in a lifetime opportunity otherwise not available: custom interiors designed by John Pawson and the Ian Schrager Design Studio, including everything one would need in a household from linens to dishes, towels to cookware, all pre-selected, unpacked and put away prior to arrival. These unique homes, dedicated to the “Good Life”, offer all the benefits of ownership, the services and amenities of a world-class urban resort, and a completely managed household without the bother of managing it or thefull expense of maintaining it. 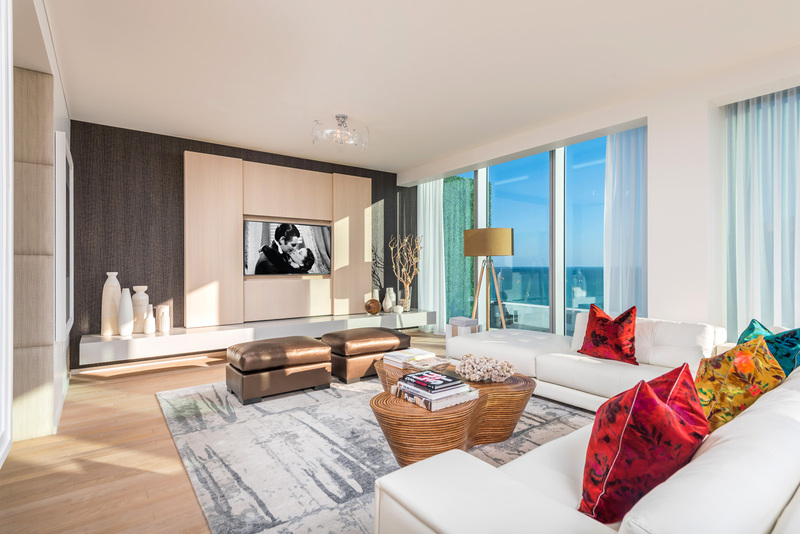 Schrager continues to exceed expectations by recognizing what residents want and need before they even know it themselves—a home with the work taken out of it, ideal for resort living. We formed Lifestyle Production Group to help the growing world of luxury real estate, hotels, goods, and services inspire high-end global clients through incredible video production. Since then, we’ve quickly risen through the ranks as a top video production company serving Miami, New York and the Hamptons, among other locations. Our team of video production experts offers the highest quality in every dimension of digital imaging, video production and creative services to craft an image that will seduce and motivate luxury-minded audiences. Clients in top markets trust us with their product and vision, and time and again we deliver unforgettable media experiences that elevate their brand like never before. If you already have a project in mind, or want to get started with a quote, head over to our contact page and send us a note! Website by LGD Communications, Inc.